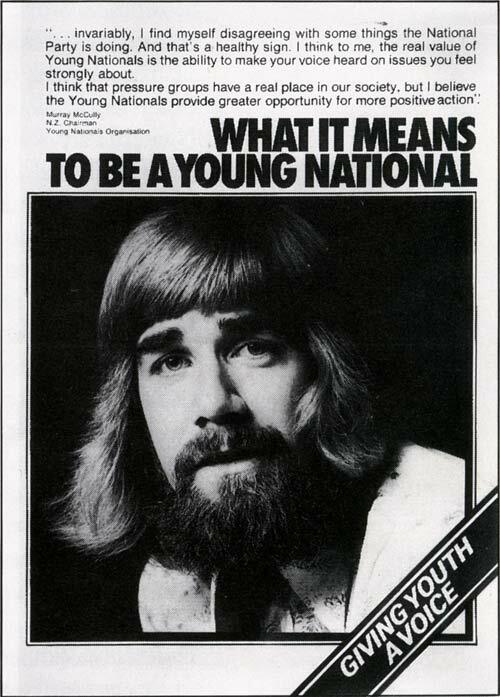 The chairman of the Young Nationals, Murray McCully, was featured in a 1974 pamphlet aimed at recruiting new members to the group. McCully went on to become a major figure in the parliamentary wing of the party and a key strategist. In 2011 he served in John Key's government as minister of foreign affairs.